It's Friday! Friday is a great day for a bit of makeup. Actually, strike that. Any day is a great day for makeup. Today was original meant to be a skincare day, but we're shaking things up with a batch of new Arbonne bits that are all about the eyes- from brows, to primer, liner, and shadow. Ready for the rundown? Let's go! 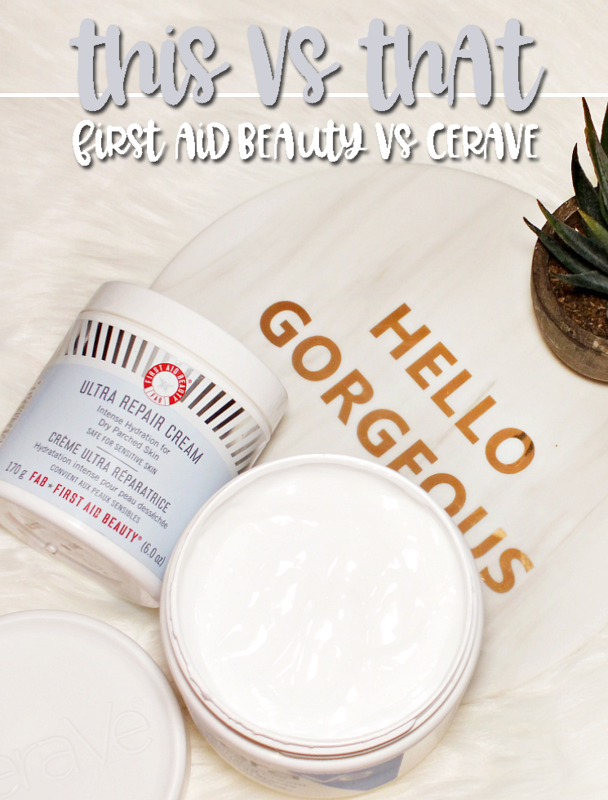 Starting at the very start with an essential- primer. 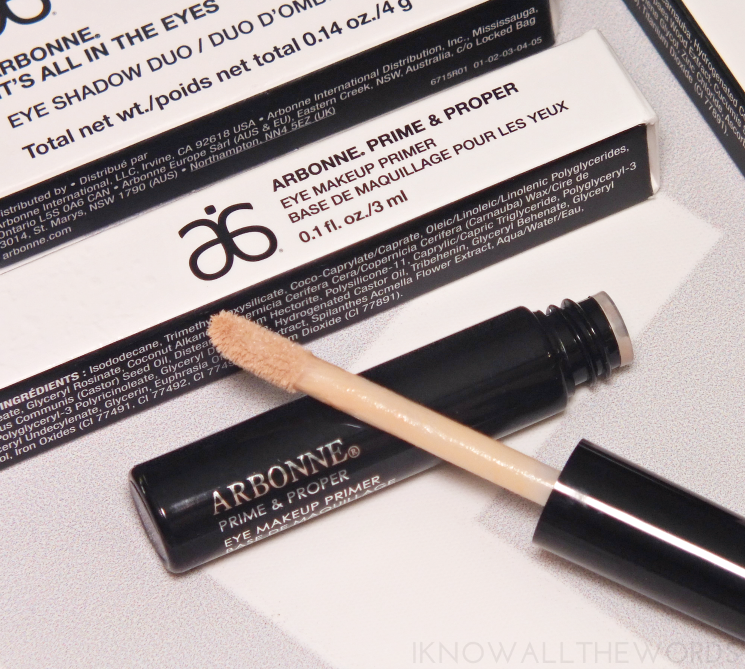 Arbonne Prime & Proper Eye Makeup Primer is housed in a short tube with a doe-foot applicator. The primer has a touch of tint, but once blended out just gives a touch of a brightening effect. I'm quite fussy about my primers (they have to hold all day, no creasing!) and have been really happy with this. It wears perfectly all day without any creasing and, as far as I can tell, no fading shadows either. 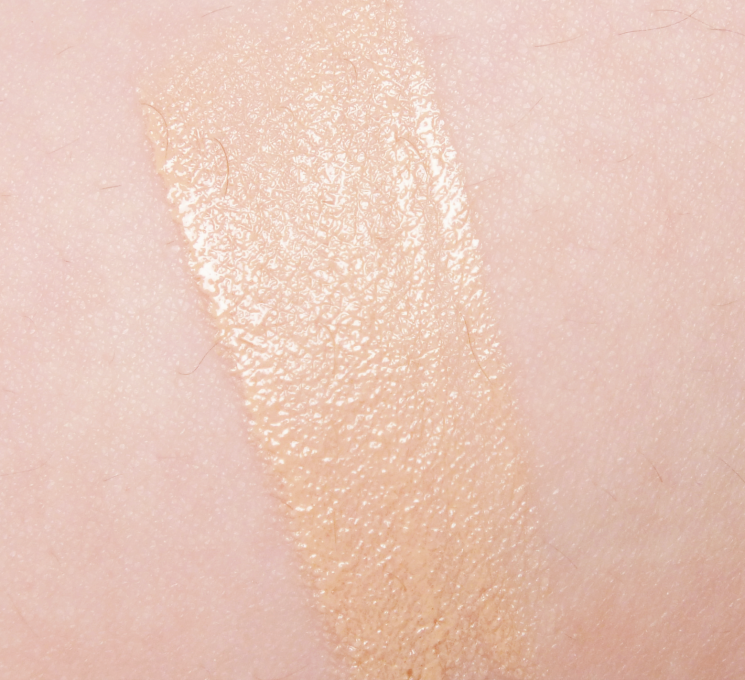 Shadows adhere really well to the primer, and are visibly bolder when applied, but it's best to lay down a base shadow before colour, as blending was hindered when applied directly over the primer. Since we're talking shadows (kind of, right?) 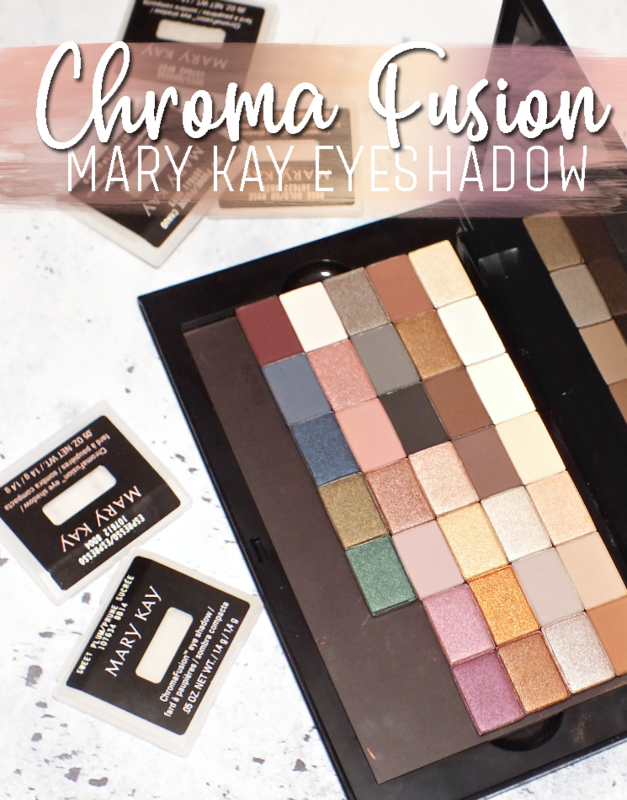 the all new It's All in the Eyes Shadows just make sense next. The range is home to twenty-four shades with an emphasis on neutral, wearable hues (a couple purples are in the mix for good measure.) Available in satin, shimmer, and matte finishes the shadows feature an anti-oxidant botanical blend that includes Arbonne's proprietary eyebright extract and hibiscus flower extract to do more than just look pretty. 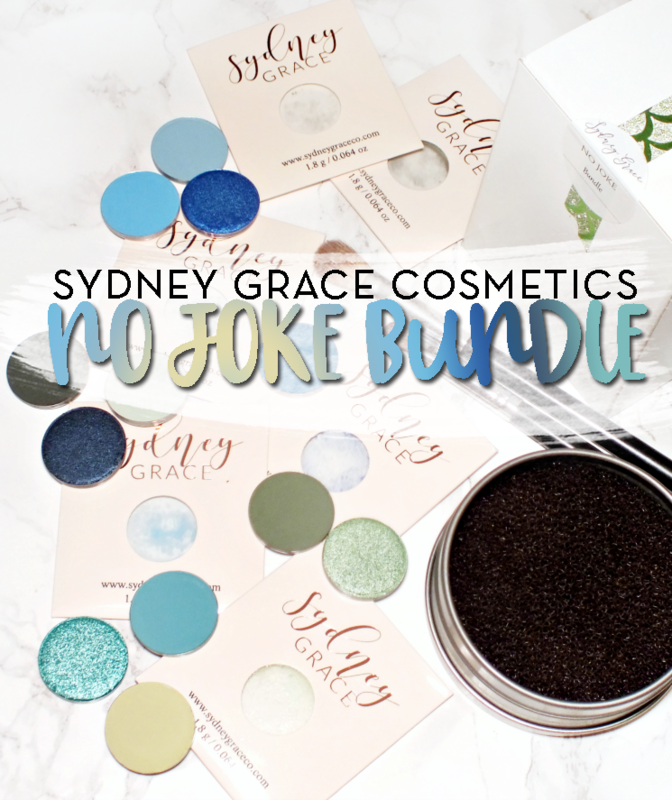 The shadows are available individually ($16 USD / $20 CAD) and can be customized in a long, four pan palette (sold separately) or in pre-made duos. Of the six duos available, I've been using the Fog (satin tan-beige) and Sienna (matte, deep red-brown) pair and have been seriously impressed. 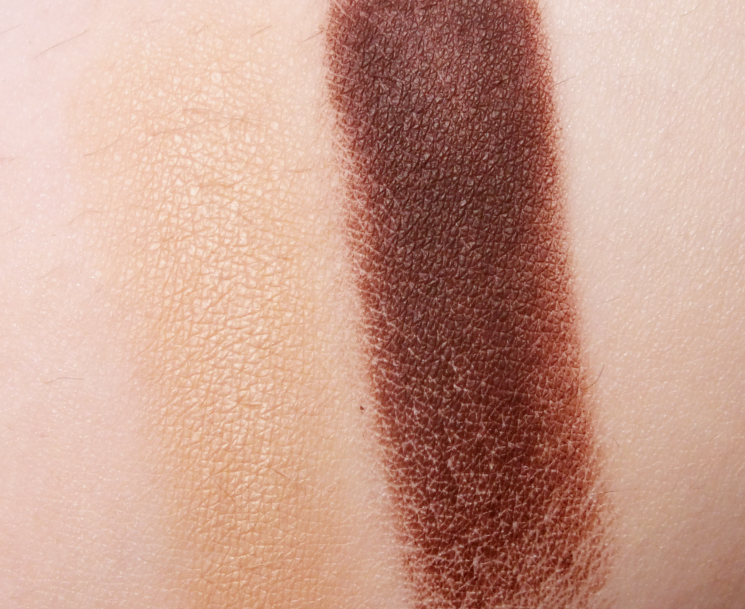 Both of the shadows have a silky feel with a ton of pigmentation. They apply easily on skin and blend well. I am especially pleased Sienna, which remains a deep, rich shade even once applied and blended. 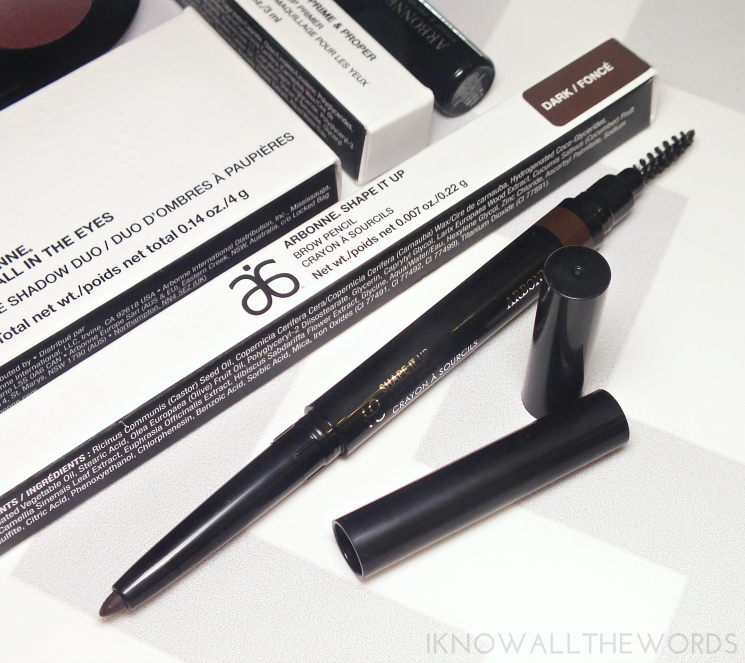 Everyone needs a few liners in their lives, and Arbonne's answer are the new It's a Fine Line Pencil Eyeliners. I will be totally honest with you (as usual) and say I wasn't a huge fan of these. When I swatched them it was rough going. They weren't very easy to apply, were hard to build, and stiff in texture. 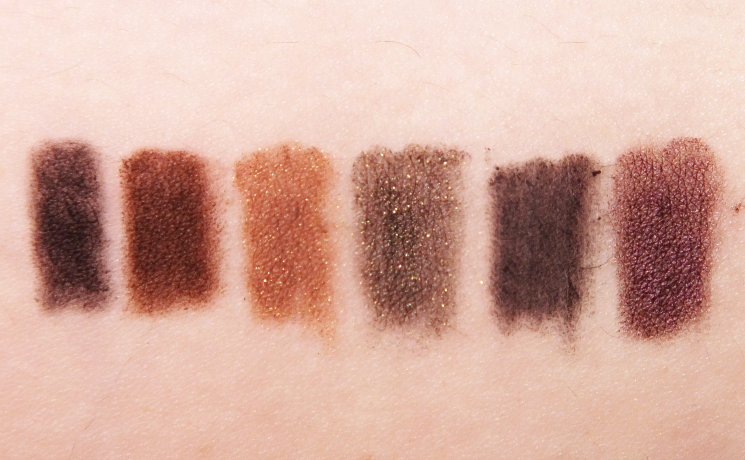 I didn't expect much when I started testing them on my eyes, but somehow, a few of the shades fared much better. Carbon (matte black) and Graphite (matte deep grey) were duds but the others, were pretty decent. 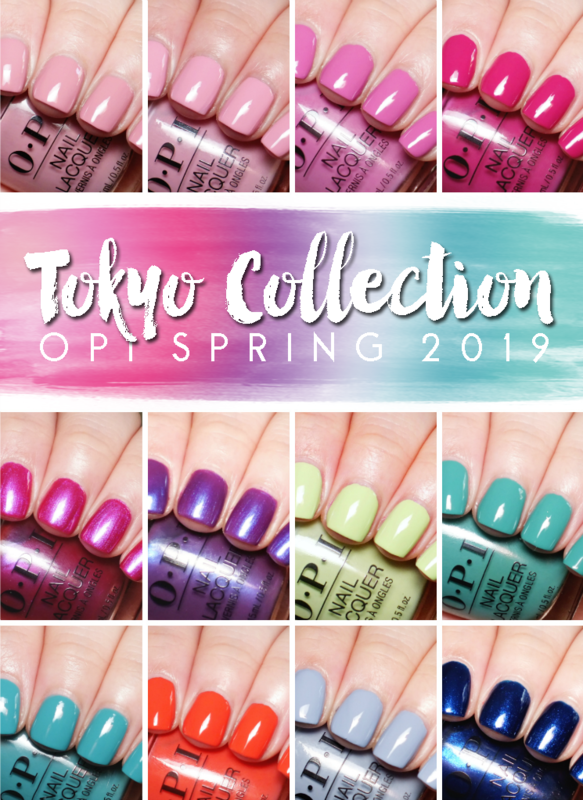 Sage (deep green with golden shimmer) and Morel (sating tan with golden shimmer) Aubergine (deep purple-plum with a slight metallic finish) apply best and are much smoother than the others. At this price-point though, the formula needs a bit of tweaking. 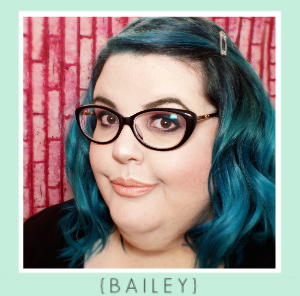 On a much more positive note, brows get a gem of a product with the Shape It Up Brow Pencil. It's gooood. The pencil features a spoolie on one end (with a cap! 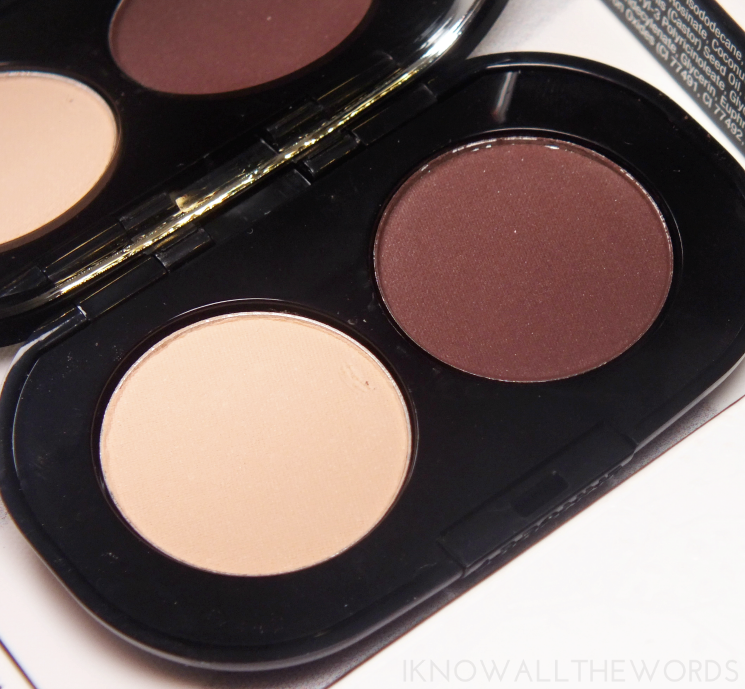 No brow gunk all over in your makeup bag) and a retractable pencil product on the other. 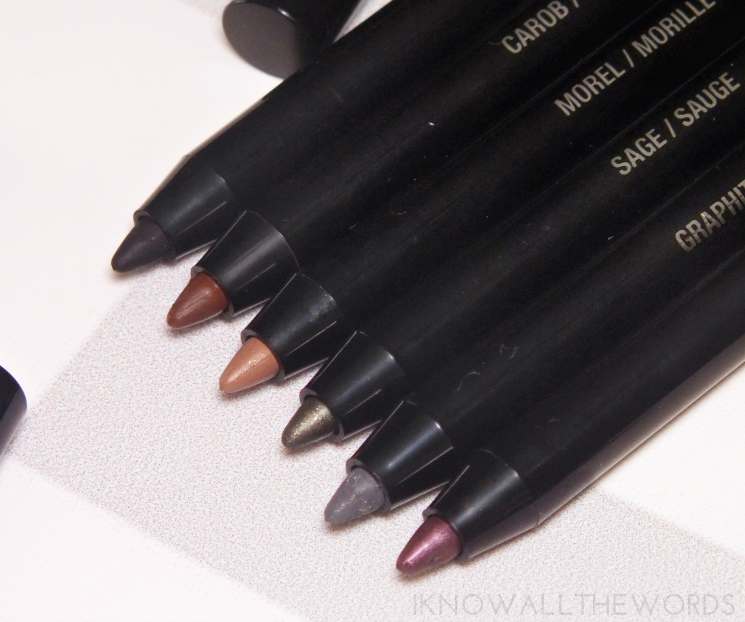 The pencil features a larch and green tea complex to help fortify brows and assist in growth. 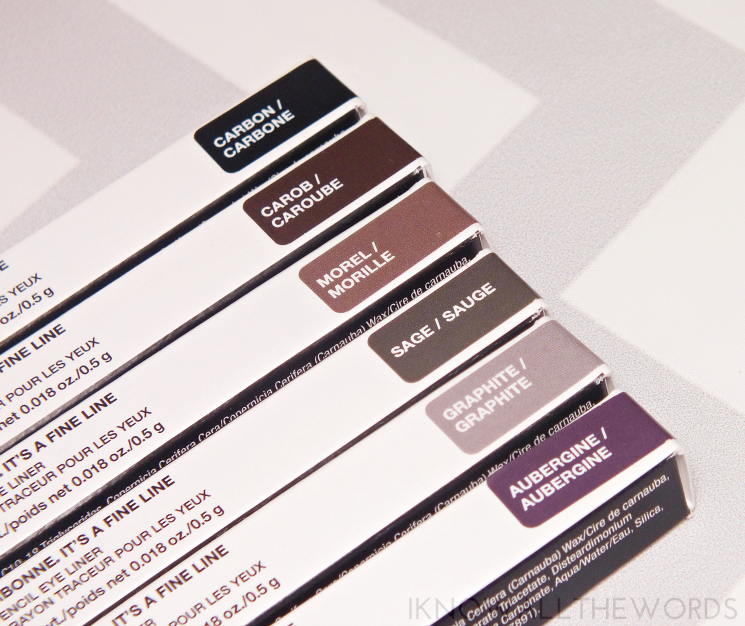 The pencil also boasts a long-wearing, smudge-proof formula that is easily applied and blended, but stays put all day. 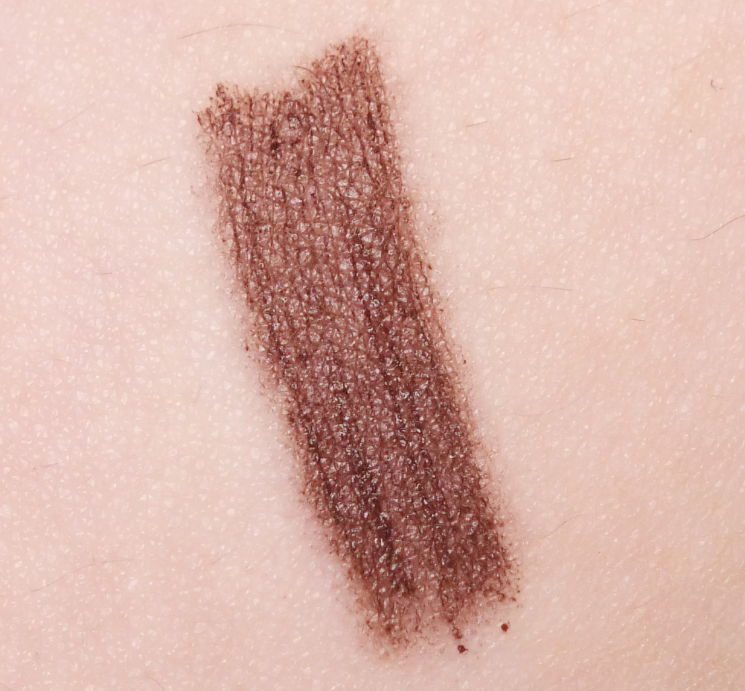 I've been using the Dark shade (Light and Medium are also available) and love that the pencil quickly fills in brows while looking natural and doesn't melt off in the heat. For the look above, I primed my eyes with the Prime & Proper Eye Makeup primer, then applied the liner in Aubergine in a thick line over my lids. 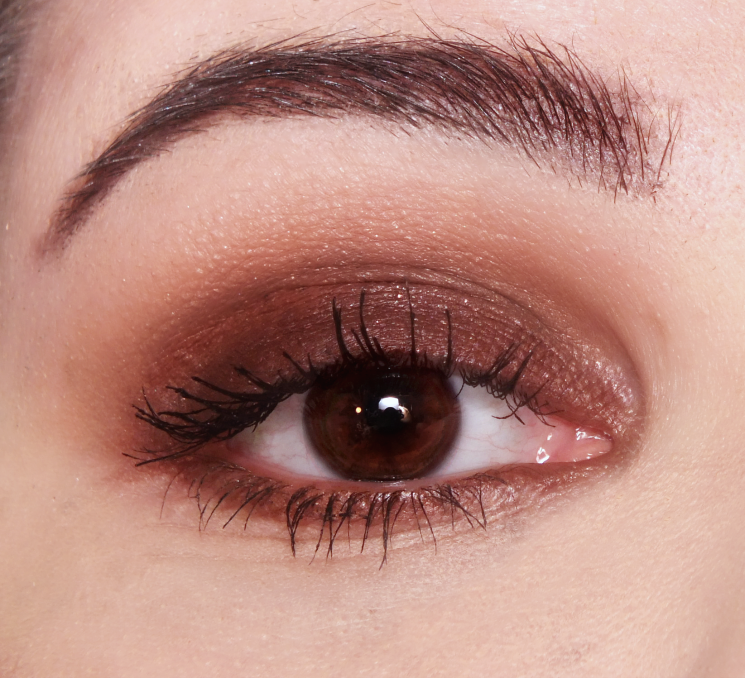 I took Sienna and patted it on my lid and followed with Fog to blend and soften the edges for a warm, smokey look. I applied the Morel liner on the lower lash line, and smudged on a bit of Sienna to tie everything together. Last up, brows, which were filled in and groomed with the Shape It Up pencil in Dark. It's the easiest smokey eye ever, and much more impressive looking than it actually takes to create. 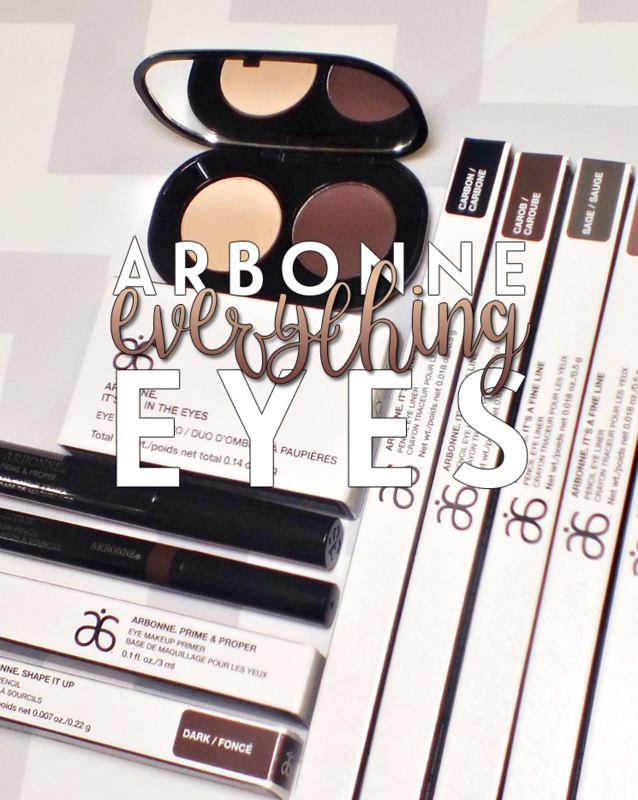 Overall, I'm a fan of Arbonne's newest makeup offerings. I say pass on the liners though. 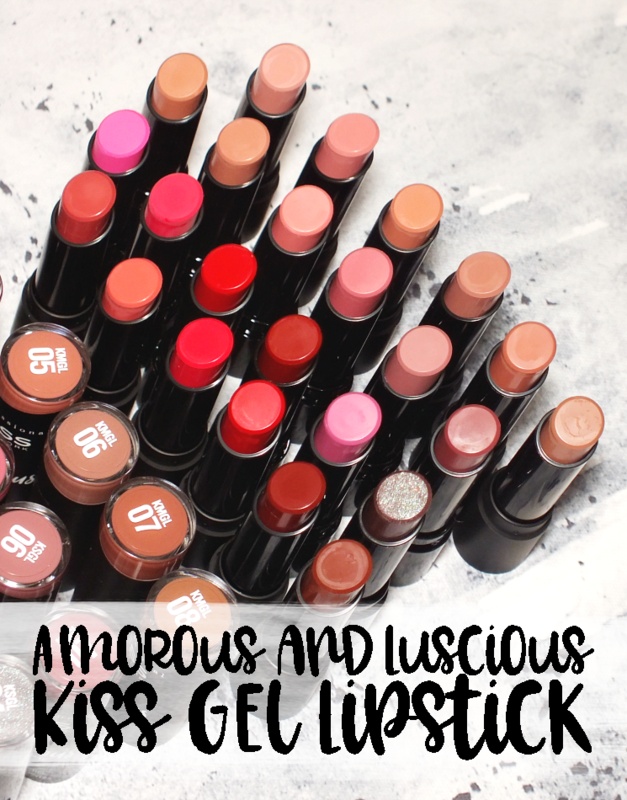 Everything else make for great additions to any makeup bag. What do you think? 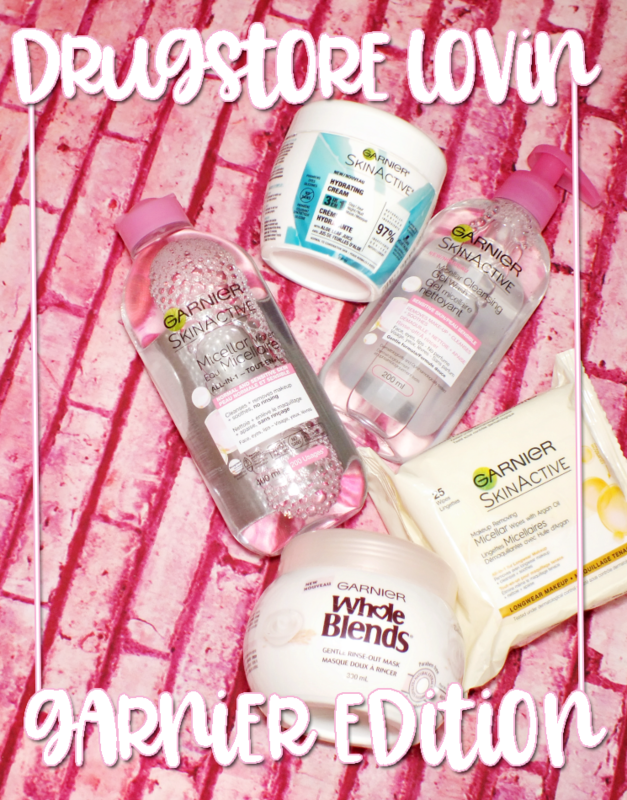 Will you be trying any of these products?